A four-storeyed building with 43 rooms (77 places)and a lift. 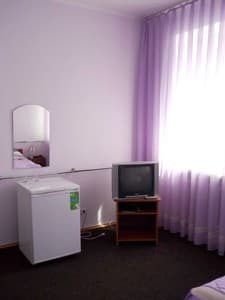 The rooms are all with modern conveniences, a mini-bar, cable television and a fridge. The rooms de lux and half delux have conditioners. 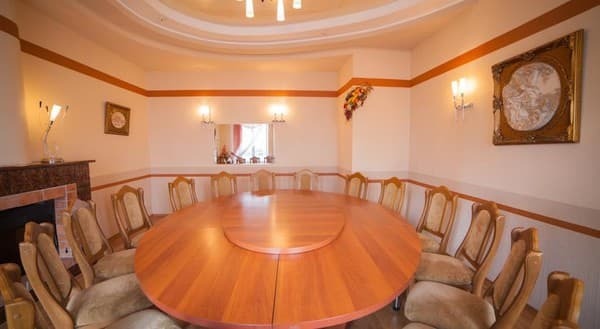 Additional services are also possible: secured parking, sports and fitness mini-hall, sauna, conference-hall, banquet room. 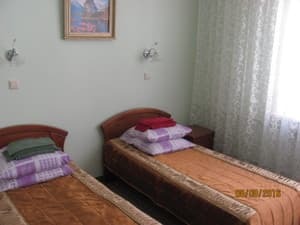 Description of the room: The room consists of one living room, which is a standard bed, TV, refrigerator. Entrance hall, full bathroom. Breakfast is included in the room rate. The goods in the mini-bar are available for a fee. 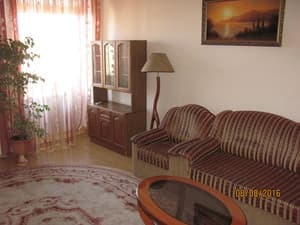 Description of the room: The room consists of one living room, in which there are two standard beds, TV, refrigerator. Entrance hall, full bathroom. The room is fully equipped with handrails for movement. The goods in the mini-bar are available for a fee. 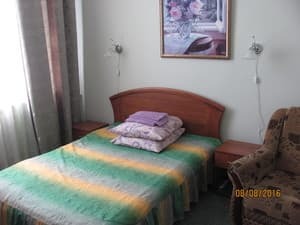 Description of the room: Bright, cozy room with two beds, work corner. Breakfast is included in the room rate. The goods in the mini-bar are available for a fee. 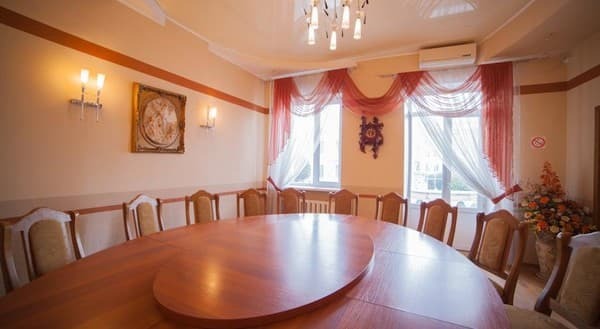 Description of the room: A three-room large and cozy room with a study and a living room. Breakfast is included in the room rate. 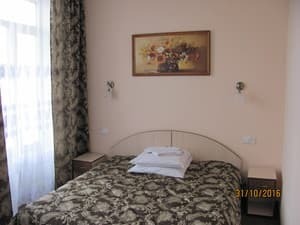 Description of the room: Two-room suite, consists of a bedroom and a guest area. Breakfast is included in the room rate. The goods in the mini-bar are available for a fee. Description of the room: The room consists of two rooms, a bedroom and an entrance hall, full bathroom. Breakfast is included in the room rate. The goods in the mini-bar are available for a fee. 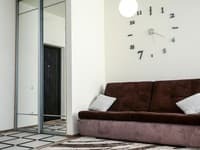 Children under 5 live with their parents in the same room for free. 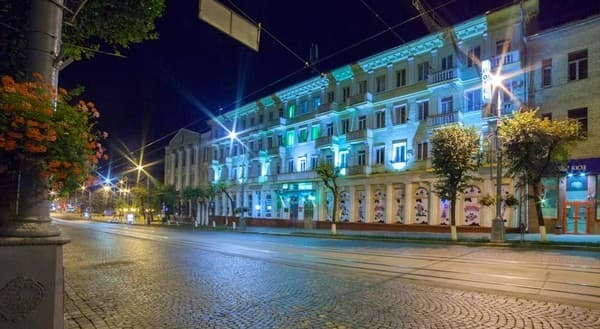 The hotel has a cafe-bar, where you can order dishes of Ukrainian cuisine, there is a wide selection of drinks. In walking distance from the hotel there are many restaurants and cafes. 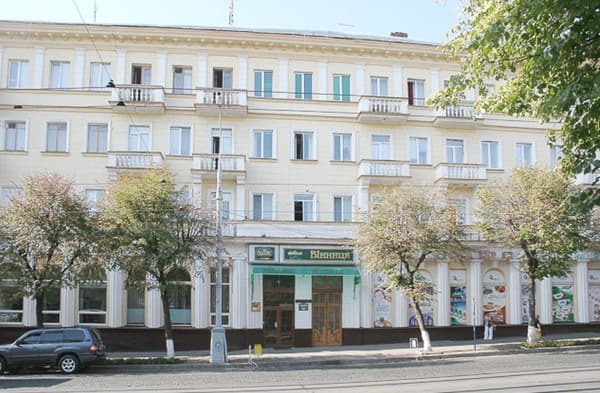 Three-star hotel "Vinnitsya" is situated in the centre of the city in Soborna Street. From the railway station you may take a trolleybus № 5; № 11 goes to the stop "The Independence Square". Or the fixed-run taxis № 36; № 35; № 34; №31 will take you to the hotel itself.